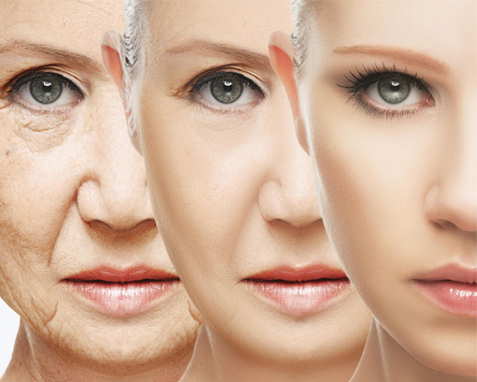 Home/Blog/#3 Are you suffering from “Inflamm-ageing”? If you find you have one or more of these common skin ageing concerns your skin is losing the battle against free radical damage. While oxygen is necessary for our survival our bodies constantly react with its damaging effects through oxidation. As we breathe our cells produce energy and this energy converts to inflammation and oxidative stress. The end result is a breakdown of our cells. How do I reduce the risk of “Inflamm-ageing”? There are a number of ways to minimise free radical damage and help slow, and even reverse, the ageing process. Your number one friend is Sunscreen; no skincare program works unless you use a broad spectrum sunscreen SPF30+ or higher. And there is no maybe I will, or maybe I won’t – you need to apply every day -regardless. Use a clinically studied and credited anti-oxidant on your skin such as Vitamin A, C, B and E.
Also, consider eating foods rich in antioxidants, these will help your internal oxidate stress (yes, it happens internally as well). And just like your sunscreen, need to be used daily. Oxidative stress does not take a holiday. How do I stop this!!! Premature skin ageing using a combination of topical anti-oxidants and daily use of sunscreen. Clinic treatments such as Intense Pulsed Light and mid-strength skin peels can help reduce the appearance of premature ageing and help your skin recover from the consequences of our modern world. Why not call and book your FREE Complete Skin Consult today and see how you can beat “Inflamm-ageing” and have healthy radiant skin.